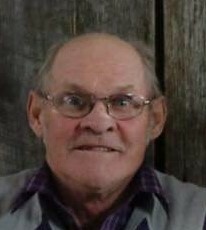 Steven “Kermit” Patton Noffsinger, 66, of Providence went to be the Lord on April 1, 2019 at Baptist Health in Madisonville. He is the son of the late Hubert Willard & Minnie Lee (Patton) Noffsinger. He is also preceded in death by siblings; Author, Paul, David, Ronnie, Donnie, & Jamiez Noffsinger. He is survived by his loving wife Peggy Noffsinger, son Lee (Kristina) Noffsinger, daughters Ashley (Verl) Scheer & Makayla Noffsinger, grandkids; Emalee, Hunter, Lucas, Kelsey, Nathan, & Breanna, brother Bobby Noffsinger, sisters; JoAnne Ball, Barbara, Dorloris Noffsinger, Mary Lathan, Patricia Presley, and many Cousins, nieces, and nephews. Kermit was a member of Star Of Bethlehem Church. Visitation will be Friday April 5, 2019 from 10am to 2pm in the Chapel of Jones Kirby Funeral Home with Bro. Brad Giffen officiating services at 2pm with burial to follow in Green Grove Cemetery. Please visit www.joneskirby.com for online condolences and more.